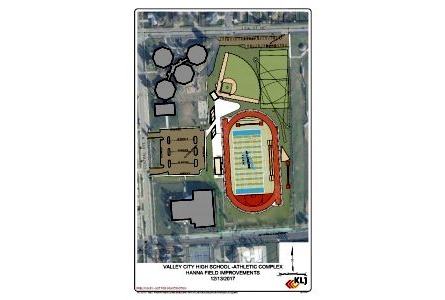 Valley City (CSi) Valley City Public Schools Superintendent Josh Johnson invites the community to the groundbreaking for the Hi-Liner Athletic Complex, Phase One project, on Wednesday May 16th, at 4-p.m. Participating along with school district officials will be, Consolidated Construction Company, Inc., and KLJ architects. The project will include adding a new track and field, upgrading drainage systems, increase parking capacity, and infrastructure at Hanna Field. 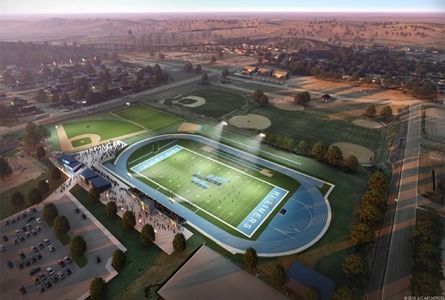 Johnson points out that the project, which is expected to be completed in August this year, will include an eight lane track, with upgraded field events, such as long jump, triple jump, pole vault, discus, and shot put areas. The storm drainage systems for the site area also being upgraded to include future plans for the project. Hanna Field has not been in use by the school district since the early 1990’s. Johnson adds, the school district is grateful fro the partnership with Valley City State University and allowing the school district to utilize their facilities the past 20-plus years.